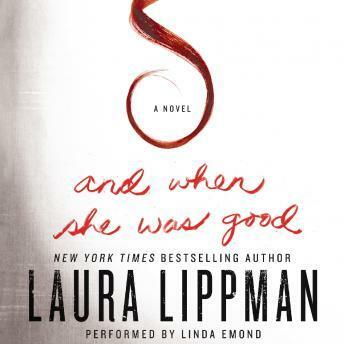 Already praised as “a writing powerhouse” (USA Today) and “among the select group of novelists who have invigorated the crime fiction arena with smart, innovative, and exciting work” (George Pelecanos), New York Times bestseller Laura Lippman is constantly sending reviewers back to their thesauruses in search of new and greater accolades. Her brilliant stand-alone novel, And When She Was Good, only reinforces the fact that she stands tall among today’s bestselling elite—including Kate Atkinson, Tana French, Jodi Picoult, and Harlan Coben (who raves, “I love her books!”) Based on her acclaimed, multi-award-nominated short story Scratch a Woman, And When She Was Good is the powerfully gripping, intensely emotional story of a suburban madam, a convicted murderer whose sentence is about to be overturned, and the child they will both do anything to keep. Lippman has already won virtually every prize the mystery genre has to offer—the Edgar®, Anthony, Agatha, and Nero Wolfe Awards, to name but a few. They’ll now have to invent a few new awards just to keep up with her.